From the moment the garage door installation process is completed, you become responsible for operating and keeping the system in good condition. When the system is equipped with a modern-day opener, you simply need to push a few buttons in order to use the device. Does this mean that you do not need to know anything else? You will actually benefit greatly from understanding how the device works. This will help you immensely with maintenance provision and getting issues resolved on time. The main part of a garage door opener is the motor unit. This is the part which is installed directly under the ceiling at a set distance away from the door. As it name suggests, it houses the motor, but this is not the only component which is present in it. The logic board is also there. This is the component which receives and processes signals from the remote and from the wireless keypad, if any. Basically, it is the brain of the device. Inside the unit, there are also gears which work to transfer motion from the motor to the drive. There is a rail which extends from the motor unit and goes all the way to the wall above the overhead door. The rail houses the drive. This is the main component which is driven by the motor and facilitates the movement of the door. The traditional electric operators use a metal drive chain to operate doors. Their quieter and more modern counterparts are the drive belts which are made from tough polymer. There are also devices with a drive screw in the rail. It is not as quiet as the typical polymer belt, but it requires very little maintenance while performing reliably. The trolley is the bracket component which is moved along the rail by the drive. It is connected to the door via a moving arm, which is attached directly to the top section. Even though it may seem complex, the system actually has very few major components. When you press the button on the garage motor remote, a signal is sent directly to the receiver of the logic board. The logic board triggers the operation of the motor, which works to move the chain, screw or belt drive. The drive moves the trolley in the direction of the motor unit when the door is opening and in the opposite direction during closing. The trolley moves the door via the arm which connects the two. 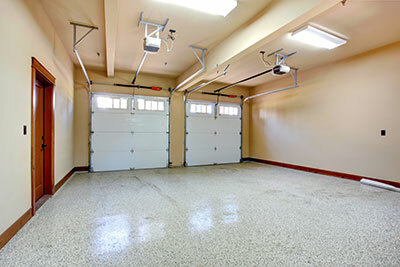 Use what you have learned to provide better garage door maintenance and to prevent issues.